Social work and human service practitioners seek to address inequity and injustice and promote social change in many different practice contexts. 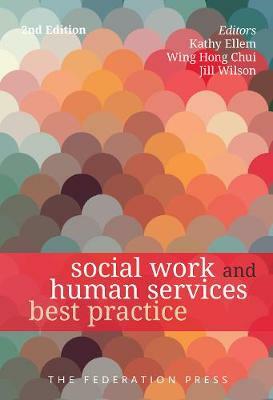 Social Work and Human Services Best Practice, now in its second edition, offers ideas on ‘best practice’ in the context of a wide range of specialised practice areas. These include work in child protection, youth justice, mental health, healthcare, hospice and palliative care, rural and remote practice and environmental social work. The authors also bring their relevant knowledge from diverse fields and explore work with First Nation people, migrants and refugees, people with a disability, older people, and lesbian, gay, bisexual and transgender people. This book will appeal to both beginning and experienced practitioners, drawing upon the historical background of social issues and presenting ideas for appropriate practice responses within the contemporary service environment.